lighter blue blending to dark emerald greens with yellow/beige. 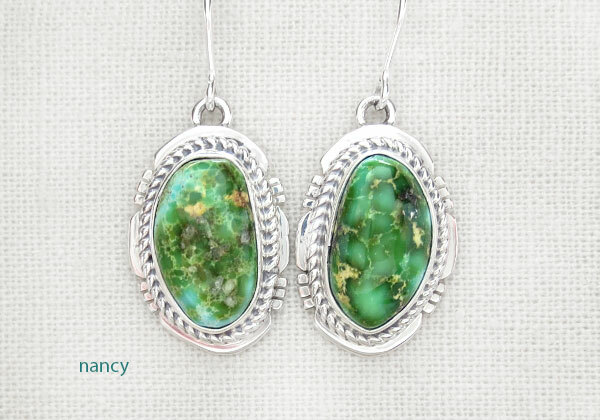 The stones are surrounded by twisted silver wire with a carved sterling silver border. 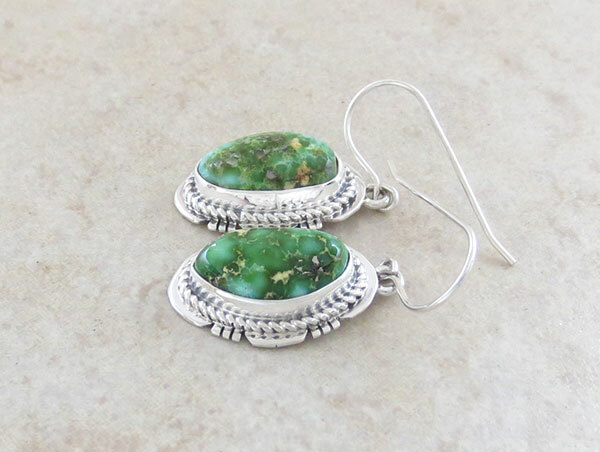 I'm told Sonoran Turquoise is from a mine in Mexico located on the New Mexico Arizona border. 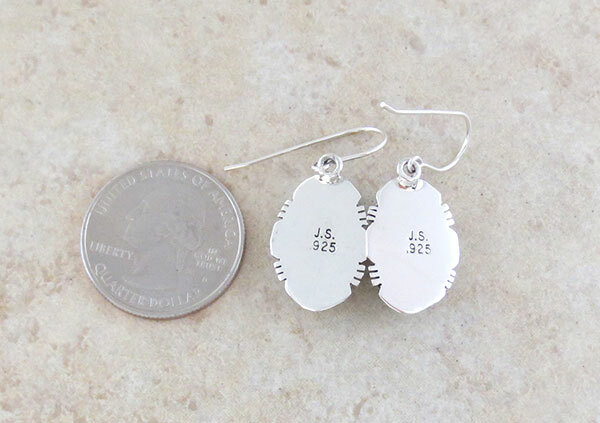 They are 7/8" tall by just over 1/2" at it's widest point.